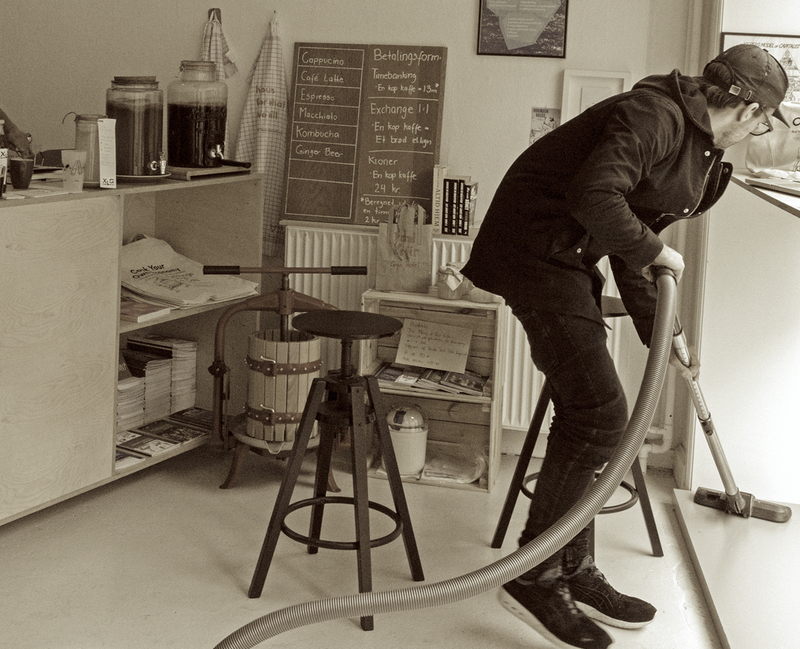 The Exchange Library – Shop & Café is a membership-based lending and exchange business launched in Aarhus, Denmark, in 2015. It is a platform for discussing artistic efforts in collaborative economies, for rethinking trading cultures, economic practices and distribution in collaboration with artists, shop owners, business people, activists, students, retailers, local communities, and so on. At our premises, members have access to a ‘library’ of equipment for home production, home made organic food products and food from small scale cottage industries, that they can either borrow or barter. EL is a cooperative model, which means that all its activities are based on worker-owner membership. It is run by members, who own and run EL and its activities in a democratic manner. The enterprise is intended to be of maximum benefit to the members rather than to create an economic profit. This also means that the membership fees are used exclusively to cover remuneration for co-workers and day-to-day operations. What is important for the EL is to create a business where members receive payment for the work they do, and that everybody receives equal pay for equal work regardless of education, seniority, background, etc. It is also important to build a framework for establishing jobs. Any member can at all times book their own working hours to the extent they wish. In our shop and café you can trade coffee, homemade bread or other homemade products, and equipment for home production solely by mutual favours, time banking or direct exchange. customers. The network of people who exchange their home-made goods for bread, coffee or other items from the café will form a collective production community. The attribution of value and the calculation of the ‘prices’ of products will be based on mutual agreements, trust, and join decisions on the value of a given product in relation to the work done to produce that product. By accepting labour and home-made goods as payment, the project paves the way for discussing the value of work and economic transactions that are not part of the regular market, and of products and services which are not made for the market. – Access to our equipment for home production. – A Kombucha Fungi and a course in how to brew your own Kombucha. 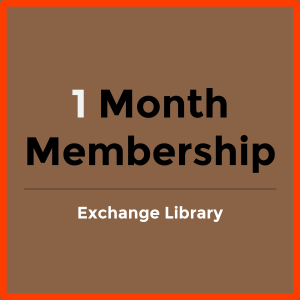 This is a membership in the Exchange Library that is good for 1 months. This is a membership in the Exchange Library that is good for 6 months. This 12 month membership for Exchange Library will give you access to our inventory of products and free access to workshops.